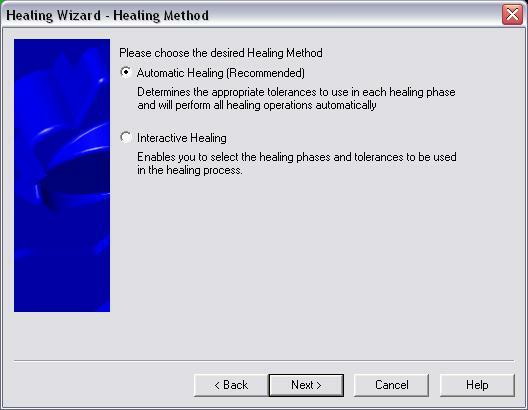 Choose the desired healing method through this dialog. The options are explained below. Determines the appropriate tolerances to use in each healing phase and performs all healing operations atuomatically. This is the recommended method. Enables you to select the healing method and tolerances to use during the healing process.